In December 2014, Michael Murdock, the vocalist and songwriter for local "hopped-up country blues" band the Heckhounds, died of cancer. During his 14-month illness, the band was largely unable to continue performing, owing to Murdock's weakened energy following aggressive treatment. And following his death, the remaining Heckhounds just didn't have the heart to keep going without the man whom bandmate Hal Mayforth calls, in a recent letter to Seven Days, "the glue that kept our band together." In tribute to his late friend, Mayforth recently recorded and released a new album, the aptly titled Voices of Ghosts. Fans of the Heckhounds would do well to check it out, though not because it resembles either of that band's two studio records or its spunky live album. Even given the Heckhounds' rather liberal liberties with the constructs and constraints of the blues, Voices of Ghosts is a severe and strange stylistic departure. But, as Mayforth writes, while the Heckhounds gleefully tweaked blues conventions to suit their own quirky designs, the band was about unearthing hidden gems in the blues canon and giving long-forgotten songs new voice. In that sense, Mayforth's tribute is, at the very least, a spiritual cousin to the Heckhounds' output, even if it's not a stylistic companion. In composing Voices of Ghosts, Mayforth mined the internet and his own record collection for "found" vocals, including old field-holler and chain-gang recordings. He then constructed new music around them. Some of the new audio does lean on blues riffs and structures. But even more of it is rooted in reggae, hip-hop and EDM. The result is something that, as Mayforth describes it, has "one foot in the Delta, the other on the gas." There is indeed a ghostly quality to the voices that appear and evaporate. Contrasted with modern musical machinations, Mayforth's field recordings feel summoned from the past — which, of course, they are. The best examples come late on "I Be So Glad When the Sun Goes Down," the penultimate track, and closer "Cornfield Hollar." On the former, serene acoustic guitar bathes a crackling chain-gang call and response in a dusky, late-day haze. On the latter, swampy slide guitar frames a series of wordless melodic howls that feel viscerally anguished. Those moments alone make up for the album's more arduous cuts, such as the funk-lite gospel of "Falling Down" and the truly bizarre jumbles of "And the Word Was God" and "Hen Duck." This record is not for the faint of heart. Appreciating its unconventional nuances requires patience and an open mind. But those with the gumption to stick out its 38 minutes and 10 tracks may well find Voices of Ghosts strangely compelling. 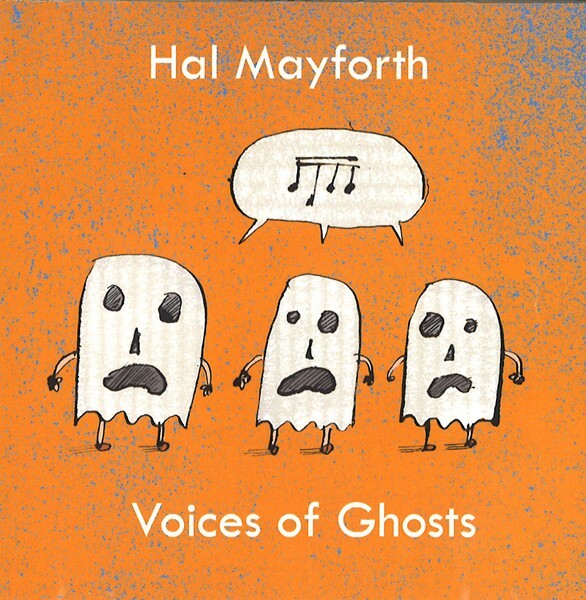 Voices of Ghosts by Hal Mayforth is available at soundcloud.com/may4th.